Did you know that you can earn cash money at home just for listening to the radio? Register for Unique Rewards and you can get paid to Completing Offers and Surveys, Watching Videos, Listening to the Radio, Clicking Ads, Shopping Online, Reading Emails. Sign-up today and start earning doing the things you already like to do! … [Read more...] about UniqueRewards – Earn Money at Home! Sign up today with RewardSurvey and take the survey to receive 20 points to acquire the magazine of your choice at no cost to you. 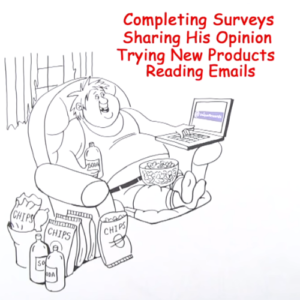 The more surveys you answer, the more you earn and reward points never expire! You can redeem points on top magazines, audio books, sweepstakes, and more! … [Read more...] about RewardSurvey Get Rewarded!